This book is part a of new series coming to us from AF Editions in Spain. Published last year in Spanish, they are now appearing for the first time in English. The book features a comprehensive narrative text and a combination of exceptionally high quality 4 color black and white photos accompanied by spectacular full color profiles of each of the tanks-all custom created for these books. AF Editions have pioneered a system for producing profiles which produce a unique texture rich look and a level of detail that is unprecedented. 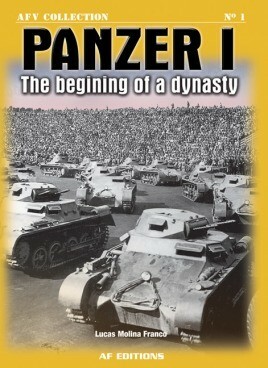 This series and the books will be of great interest to all WWII enthusiasts and to modelers in particular.